In the last few days I have been in communication with a number of friends about the Roswell case and what I have discovered in my reinvestigation of it. At one point I had mentioned that the description of the gouge on the debris field was problematic because there was only Bill Brazel who had reported it. The response was there were three other witnesses who had described the gouge complete with a list of sources for the information. Switching gears now, I mention that as you all know, I have been chasing footnotes to see if we can reduce it to the original source as a way of confirming that the information has been accurately reported. I have done this to several others and now it seems that it is my turn. The footnote took me to Len Stringfield’s UFO Crash/Retrieval Syndrome which was published by MUFON in 1980. The footnote didn’t give a page number in that document but I found it was entry Case A-10 on page 16. 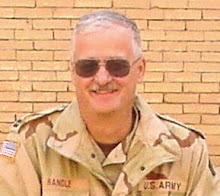 Stringfield does name Marcel and tells us that Stringfield and Marcel had served in the same areas in the Pacific Theater during the WW II. A very liberal interpretation of that could be that there had been some sort of disturbance to the soil, and when connected to what Bill Brazel had said, might be an accurate description. Marcel never actually said anything about seeing a gouge, so this is apparently a little of that literary license that has no place in this sort of report. Looking at the newspaper articles published in 1947, there are a variety of sizes given for the debris field and Brazel, in one of those news stories agreed with the size as given by Marcel. While all that is interesting, it doesn’t give us a gouge in the middle of the field. According to the taped interview, conducted by Don Schmitt, Adair never said that he’d seen a gouge in the sense that Brazel has seen one. To him it looked as if something had skipped creating a series of depressions (I’m trying to avoid the word gouge here to provide a somewhat more neutral impression) that, looked at from ground level would have resembled a longer cut in the soil. Frankly, it seems that he was talking about something that could be interpreted as a gouge. He wrote about them as “gouges” which seems to confirm what Adair had said and both men were flying over the area which might explain why they used the plural when Brazel spoke in the singular. of high desert as identified by Bill Brazel. Finally, there was Bud Payne who eventually became a judge in Lincoln County. He blundered into the area chasing some livestock that gotten away from him. In an interview with him in January 1990, he took a number of us including Don Schmitt, Paul Davids and me to the debris field that he had seen. 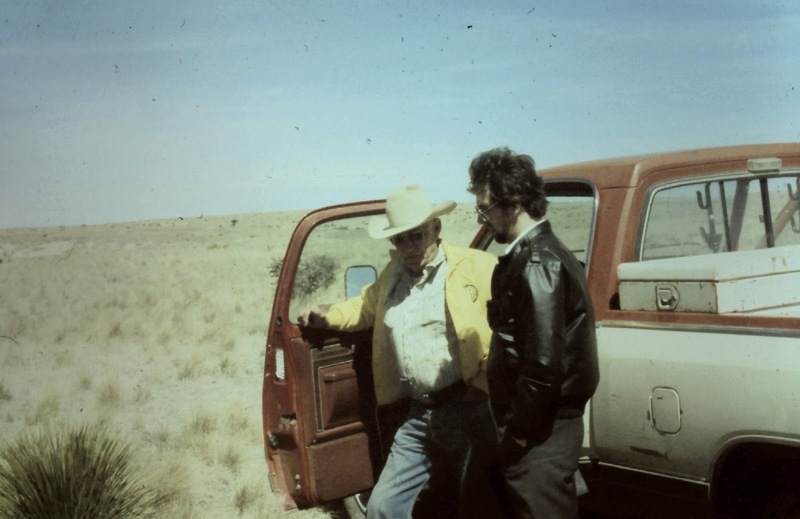 Although the interview was not recorded, my notes say that he did say there had been a gouge, and we were standing on the same bit of New Mexico high desert that Bill Brazel had pointed out to us some months earlier. In looking back through my notes, transcripts, and other documentation, I found references to a gouge or gouges in the terrain that seemed to back up the original descriptions given by Bill Brazel. Granted, the interviews were conducted decades after the event, and the survey of newspaper articles which sometimes provided a description of the debris field did not seem to mention a gouge or gouges. The point here is that there are multiple sources for the idea of a gouge, even if that description wasn’t universal. While it could be argued, somewhat lamely, that those impact depressions aren’t the same thing as a long gouge, Marcel seemed to be telling both Stringfield and Pratt that he had seen no gouge. I don’t know how that line “Marcel said that it was about three-quarters of a mile long and two to three hundred feet across with a gouge at the top end of it that was about five hundred feet long and ten feet wide,” got inserted into the text. It’s not in quotation marks which means it was an interpretation of what Marcel had said. The probable answer is that it was a combination of what both Brazel and Marcel had said, which means the description is somewhat correct, based on those testimonies, but it isn’t accurate. It turns out that the statement attributed to Marcel is one that is not found in the source I quoted. In fact, it’s not found in any of the sources I was able to access here over the last few days. The information attributed to Marcel is incorrect and the footnote is inaccurate. I have now found references to disturbances to the soil, and I have found that Marcel never talked about a gouge. The information here is now accurate and the sources are attributed properly. I can only hope that these clarifications will make their way into the Roswell discussions. 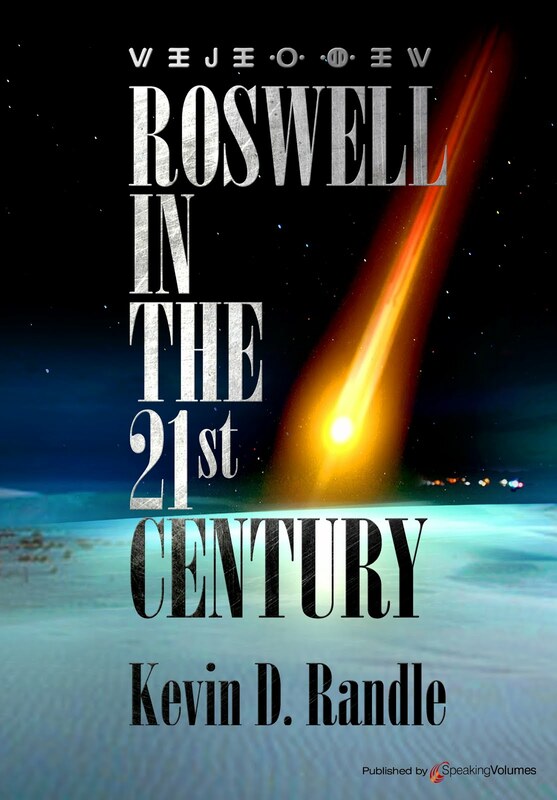 As many of you know, my book Roswell in the 21st Century is out in a few weeks. While reviewing the case files, documentation, witness interviews, the hundreds of video and audio tapes, and books and magazine articles, I had my eyes open for something new in the way of documentation. While I didn’t find any that mentioned Roswell specifically, I did find a few that referred to UFO crashes. Although some of those such as the Twining Letter and the Air Intelligence Report are covered in the book, I have made another discovery which is not to say I am alone on this but that others have referenced it as well. It can be stated now that as far as the current situation is concerned, there are no indications that the reported objects are a direct threat to the United States nor is there any proof that [all underlining in the original] the reported objects are any foreign body over the United States or, as far as we know, the rest of the world. This always brings up the question of space travel. We have gone into this with many people and it is the opinion of most scientists or people that should know it is not impossible for some other planet to be inhabited and for this planet to send beings down to earth. However, there is no, and I want to emphasize and report the word “No”, evidence of this in any report the Air Force has received. I would like to go back over that once more for the sake of the record. We have no evidence in any of our reports that the earth is being visited by any people or beings from outer space [italics indicated a section that had been crossed out in the original]. We have arrived at the conclusion that these reported objects are no direct threat to the United States for several different reasons. One, we have never picked up any “hardware”. By that we mean any pieces, parts, whole articles, or anything that would indicate an unknown material or object. We have received many pieces of material to be analyzed but in every case there was no doubt as to what this material was. However, there is no, and I want to emphasize and report the word “No”, evidence of this in any report the Air Force has received… WE HAVE NEVER PICKED UP ANY HARDWARE [emphasis added by one of those reporting]. By that we mean any pieces, parts, whole articles, or anything that would indicate an unknown material or object. The major point here is some of the information has been deleted, but as it turns out, it does not alter the statement. It consolidates the information but I think the whole context is something that we should note. I could make several points here. First, Ruppelt is undoubtedly arguing based on what is in the Project Blue Book files, and in that context we know that his statements are accurate. There is but a single mention of the Roswell case in those files which appears in a four paragraph newspaper clipping about another UFO case. That mention is only that those at Roswell had received a “blistering rebuke” for their announcement that a flying saucer had crashed. The point is, now that we all have access to the complete Blue Book files, we know Ruppelt’s statements are true, if he used only the information in the Blue Book files. Second, I could suggest that Ruppelt’s briefing was originally classified as “secret” and we all believe that if there had been an alien spacecraft crash at Roswell, it would have been classified as “top secret.” Therefore, nothing could be mentioned about it without, I believe, defeating the purpose of the briefing by limiting the number of people who could attend. Many of those in the audience would not have been authorized at the briefing at a higher level of classification. Third, it could be argued that even though Ruppelt was the chief of Blue Book, he didn’t have a need to know about Roswell. His job was to investigate sightings and collect data about them and not worry about the reverse engineering of anything that had been found… and yes, I know this is lame. Fourth, if you are attempting to protect a secret, you don’t want to suggest something that might lead to that secret. True, one of the best ways to stop questions is to tell people that something doesn’t exist or hasn’t happened, but here Ruppelt was talking about a subject, UFO crashes, that might have been best left unsaid. He did, apparently scratch out part of the statement, but that could have been for no other reason than to eliminate redundancy. If this statement was stand alone, meaning that it was the only example of such a comment in the vast majority of documents that I have searched, and others have searched, we might be able to ignore it. But it is not, and we see the top of the Air Force intelligence community all saying basically the same thing. Lieutenant General Nathan Twining, mentioned the lack of crashed recovered debris and while I believe the letter was written by Colonel Howard McCoy, Twining signed it, meaning he had read it and approved its content. McCoy, the top intelligence officer at AMC, that is Wright-Patterson Air Force Base, not only wrote the letter for Twining, he said the same thing a number of times, that is, no recovered crash debris. Again, it seems unlikely that McCoy wouldn’t have known about the crash even if he wasn’t directly involved in the research, and he surely wouldn’t have been mentioning the subject if there was a secret to protect. Remember General Exon was not directly involved, but he heard things from his friends. He knew things based on what they had told him, probably out of school as they say. My point here is that Ruppelt would have been in the same boat but apparently heard nothing so that he was confident in making the statements he did. In other words, this does not bode well for any crashed saucer tale. In recent posts about the Ramey Memo, there have been complaints about the lack of progress in clarifying the text so that much of it can be read to most people's satisfaction. It is quite possible we will never be able to fully clarify the text but that won’t stop us trying. Photo copyright by the University of Texas at Arlington. Many people who visit here will be aware of David Rudiak’s on-going efforts over the last 15 years. He has spent hundreds of hours of his own time using a variety of techniques in his effort to resolve the text. Other researchers have also made suggestions that might be employed, enabling us to read the document with more clarity. Some of these leads are a work in progress. At this stage there isn’t much to report about this, but there is some interesting news. He added the suggestion of “crowd sourced funding as the way to go” and doubted it would be more than $10k to do this thing right using the best available technology. 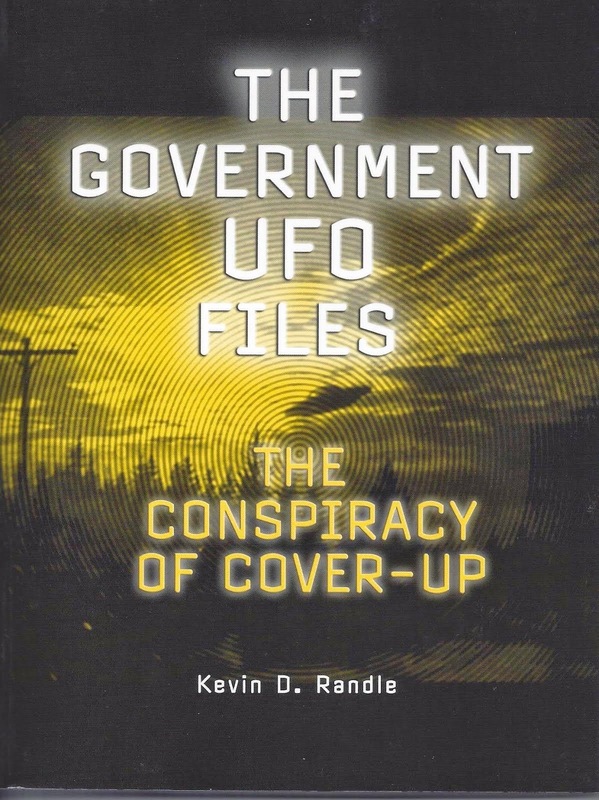 A trusted colleague who is not a Ufologist but does have an interest in Roswell and UFOs and who has the money, has taken this in a slightly different direction. He is offering a $10,000 reward for the first person or group/lab that can provide a definite read of the Ramey memo. To claim the reward a number of criteria will need to be met, including full reproducibility of the result (with methodology of the individual/lab completely explained and transparent so that anyone knowledgeable can replicate in much the same way that the placard on the Not Roswell Slides was revealed). There must be overwhelming agreement that the result is definitive with most of the text clear enough that there is little or no disagreement on what it says across a broad spectrum of people of all opinions whether true believer or complete skeptic. 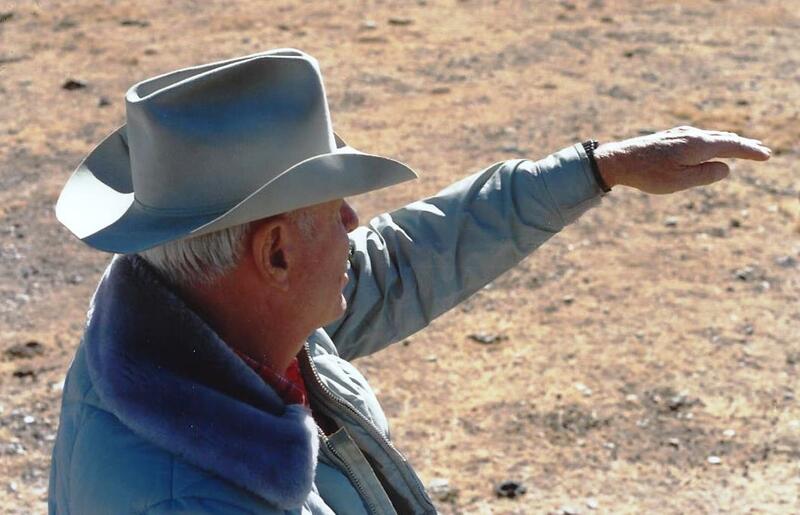 Obviously some parts of the message can never be read, such as that under Ramey's thumb, but what is out in the open should be clarified to where there is little or no question about what most of the memo is about which might include clues as to authorship and information about the events in Roswell. However, the problem of funding mentioned above will not be an issue if the right people to do the “job” can be found. The point of contact for this is rameymemo@gmail.com. My recent postings on Fort Itaipu has ignited a firestorm of controversy. Well, not exactly. It sparked a semi-heated debate about the incident that seems to be more directed at the use of the term “fraudulent” in conjunction with information developed by Dr. Olavo Fontes than it was the facts of the case. It seems the alleged “character assassination” of Fontes was the source of the annoyance. Given this minor flap, and two different interpretations of a single article, I thought I would revisit this case because, frankly, I had no dog in the fight. I am more interested in getting to the bottom of a story than I am in sticking to a theory that might be in error. Although it is often overlooked in the various accounts of the events and mentioned almost in passing in others, in the early morning of November 4, 1957, the pilot of a cargo plane, Captain Jean Vincent de Beyssac, reported that he saw a red light to his left. As the light seemed to grow, de Beyssac decided to investigate but as he turned toward it, the light suddenly jumped in size suggesting it had come closer. At that moment the aircraft’s automatic direction finder (ADF), the right generator and the transmitter burned out. The UFO vanished at that point. Frank Edwards, in Flying Saucers – Serious Business devoted just over two pages to this sighting. He then noted that one of “those well-documented ‘heat cases’ took place in Brazil on the same night” as de Beyssac’s encounter. Edwards provided no source for his two paragraph report on Fort Itaipu and no documentation for it, but a good guess would be that he was following the path provided by NICAP. This lead back to APRO and Fontes because there is nothing new in that account. Note, however, this is speculation based on Edwards’ relation with Donald Keyhoe and NICAP. 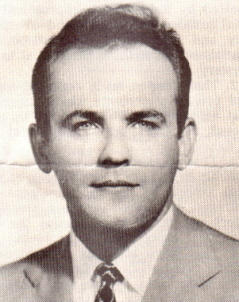 Some forty minutes after Beyssac saw his UFO, and according Dr. Olavo Fontes Teixeira, at Fort Itaipu, on the Atlantic coast of Brazil, two sentries spotted a bright orange “star” appear in the cloudless sky. “The whole garrison was sleeping in peace. Two sentries were on duty on top of the military fortifications. They were common soldiers, they did not know that flying saucers existed.” I could ask how he knows this since he never interviewed them but will let that go for now. Fontes wrote that the other sentry also had the feeling his clothes were on fire. He began to scream, horribly, while running and stumbling and crying. He didn’t know what he was doing but found some shelter under one of the cannon emplacements. Fontes wrote that his cries were so loud that they woke the rest of the garrison. Apparently things were no better in the living quarters of the soldiers. There, according to Fontes, “everything was confusion.” While no one seemed to have a clue as to what to do, the lights went out (and yes, this is my interpretation of what Fontes was suggesting, boiled down so that we can move along). The power failed, and even the backup generators failed. Fontes provided a long list of things that were going on and tells us that there was fear on every face… I’m sorry but this strikes me as hyperbole regardless of the unusual, strange, and frightening situation. Fontes wrote that the event lasted about three minutes. He said that the next day the fort commander ordered no one to talk about what had happened or what had been seen. The injured soldiers were being treated for their burns and the fort was placed under martial law which seems a strange thing to have said since, as a military installation, it would already be under martial law. Fontes claimed that officers from the U.S. military mission arrived to investigate. They were accompanied by officers of the Brazilian Air Force, and learned that intelligence officers, apparently from the fort, were in charge of the investigation. According to Fontes, some three weeks after the sighting, he was contacted by one of the officers who knew of his, Fontes’, interest in UAOs. Fontes refused to give the name because the officer feared some sort of repercussions for revealing information that had apparently been classified by his commanding officer. This first leak was not enough, for Fontes, and he said nothing about it for two months when three other officers from the Brazilian Army who had been there that night told their tale. It seems that Fontes contacted them, though this isn’t clear in his first article if this was the case. They did, however, according to him, confirm the details. mentioned the case in other books, Keyhoe in Aliens from Space and Vallee in Anatomy of a Phenomenon. Vallee’s footnotes take us to Coral Lorenzen and her The Great Flying Saucer Hoax (which was later published as Flying Saucers: The Startling Evidence of Invasion from Outer Space) which, of course, takes us to Fontes and his report from the APRO Bulletin. Clark takes us to both Fontes and Lorenzen. This, I believe, is supposition by Keyhoe. Fontes mentions that military mission members, meaning, I would guess, the American Embassy military attaches, accompanied the Brazilian Air Force officers, but there is no mention of a request for help. Given the circumstances as outlined by Fontes, there would be no way for the Americans to know of the attack, so a request is logical given these circumstances. There nothing to tell us Keyhoe’s source. However, Richard Hall who compiled The UFO Evidence for NICAP, the organization that had Keyhoe as its director, mentioned the case in two places. According to the footnote, his information came from the APRO Bulletin which was where the information was first published in the United States. Fontes was the author of that report. He also references it in another section with little detail and no footnote. It seems clear that Keyhoe used the Fontes information in his analysis of the case because it is obvious that NICAP had the information in their files. Although the story was carried in a variety of UFO books over the years, there seemed to be nothing new to it. No names of witnesses surfaced and inquiries to the fort produced no corroboration. Magazines in Brazil did mention the case, provided several dates for the event and little in additional detail. Given the number of dates, it was difficult to find any sort of corroboration. Fontes heard about the case from a military friend on the condition of anonymity [this is quite possible, as there were Brazilian officers high up who would talk to the Rio guys often]. [The brackets appear in the original text]. Fontes said that he could not use his medical doctor status to get entry to the hospital, but did find out that the burns were severe and over about 10% of the bodies. Later he said that he got confirmation of the affair from three other personnel. This incident could [emphasis in original] have happened. If so, it would be a very rare incident of severe damage to a witness. front of Fort Itaipu near Sao Paulo, Brazil. and without names, there is no way of knowing what Fontes might have been told and what additions he might have made. At two o’clock on the morning of November 4, 1957, in Fort Itaipu, located in the vicinity of Santos, Sao Paulo [Brazil], according to a Report by Dr. Olavo Fontes, two guards where [sic] on watch duty at the top of the highest lookcout [sic] tower facing the ocean. Suddenly an orange color light appeared and quickly positioned itself at approximately 50 meters about the guards. With inoperable automatic weapons, they watched the starange [sic] glow and high pitched noise emerging from the strange object. Suddenly the two guards were hit by an intolerable heat wave, knocking one of the guards unconscious. The other thought himself to be in flames, and screamed to alert the others. The troops in the Fort quickly became alarmed due to a failure of all the power systems, including lights, elevators and weapons. Three minutes later the power returned with many officers claiming to have seen the strange object rapidally [sic] climb towards the sky. The two guards sustained first and second degree burns over 10% of their bodies. The alarm system and the automatic electric clocks which were originally set for 5 am, went off at 2:30 of the same morning. After the incident the Fort was shut down and investigations by the Brazilian Secret Police and afterwards by North American Officials was conducted. The results were not made available. In the four articles, there is nothing more about the alleged incident at Fort Itaipu. The date given for it is wrong if the November 4 date is accepted and there is the question about which of the sightings Sullivan thought were reliable. It is apparently confusing and it is only a guess that Fort Itaipu is one of them. On May 24, 1958, the magazine apparently reprinted those few lines and added that the case “would have been witnessed by officers and the Commander of the fort itself, can not be described in detail, since it was not officially confirmed by those authorities. Informed sources assure that the captain ordered preparation of a secret report about [it]. They also say that electric devices suffered interference, having been paralyzed. For our part, though, nothing we can say because we have not authorized statement that support us, restricting us, so that to declare the incident as it was reported including the press of Sao Vicente (Sao Paulo).” Yes, the translation is confusing but seems to suggest, at least to me, that they have no authorized statement from the fort and no confirmation of the story. This seems to be the only references to anything at the fort until the publication of the report in the APRO Bulletin. Fontes is the author of it, with all the added details with which we are now familiar. Other than additional writers and researchers repeating the story as told by Fontes, it seemed that no one else attempted to learn anything new about it or even tried to verify it. The mention in Flying Saucer Review, for example, can be traced back to Fontes who was, at the time, the APRO representative in Brazil. Several years after the turn of the century, or in other words, some fifty years later, Boaventura began searching for the soldiers who had been in the fort on the night of the attack. Eventually he would receive a list of some four hundred soldiers who were there. He interviewed Captain Galileo Ramos, who had served for 30 years at the fort, and who said that one of the soldiers burned had not survived. He also said that due to the intensity of the heat, the barrel of one of the rifles was twisted. The critical question asked by Boaventura was if Ramos knew the names of the burned soldiers but he said that he didn’t. He had heard the story told by others. What had seemed to be important information added by an officer who might have been there (it is not clear from the story if Ramos had been at the fort in 1957) turned out to be something that had been told to him by another soldier. He had not witnessed the event. 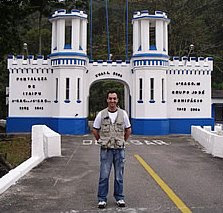 On January 25, 2008, Boaventura talked with Lieutenant Azevedo, who apparently was currently one of the public affairs officers at the fort who confirmed the story. He also said that rifle with the twisted barrel was in the History Museum of the Rio de Janeiro Army. He said that there had been a blackout and that one of the soldiers was burned, rolling on the floor while the other was unconscious. He said, “I’ve never seen, but several cases have happened in the fort [There is a record of UFO sightings around the area in November 1957 but these are merely sightings]. About the soldiers report that both were treated at the clinic of the Unit that is currently not located in the same place.” Of course, in the confusing translation of the story, it seems that Azevedo was saying that he hadn’t witnessed any of this and that he did not know the names of any of the soldiers involved. He was repeating something he had heard. Boaventura attempted to follow the trail of the rifle with the twisted barrel. He visited the museum but didn’t find it on display. He wrote to the museum about that and asked for a picture of it and on March 17, 2008, he learned that no evidence was found after a search by those in the museum but they would continue to search and if anything was discovered, Boaventura would be informed. If the rifle ever existed, it was nowhere to be found and the logical conclusion is that it never did given the way the information appeared in the story decades later. Boaventura found others who had served at the fort and while some of them had heard the details of the case, it was never clear when they heard them. He found no one who had actually witnessed them. The son of one of the commanding officers said that his father had mentioned a UFO sighting but didn’t say a thing about soldiers who were injured. The son hadn’t seen anything himself. Specifically, the son of the commander told Brazilian researchers on June 13, 2016 and in an email provided to me, “I can say, without a doubt that this fact is true, because I am the son of Adston Pompeu Piza, at the time commander of Fort of Itaipu. 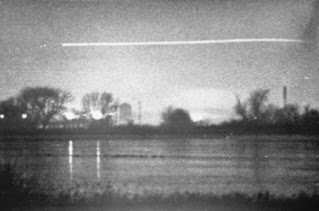 This sighting occurred at the beginning of November 1957, reported by my father to me, my brother and my mother. My sister at the time was a baby. This was related by my father to us numerous times and out relatives and friends who frequented our house. The repair to be done was never heard, and I heard hundreds of times this account, is that never heard my father talk about the soldiers suffered burns.” Or, in other words, there had been a UFO sighting, but all the additional details, about the burned soldiers and melted rifle barrels was not confirmed. In fact, Mundo Ilustrado lists several sightings in the Sao Paulo area and near various Army installations in November and December, 1957, which might account for what the son had been told. What he is confirming here is that there had been UFO sightings in the area, which included a suburb of Sao Paulo where the fort stands but that there was no incident that involved sentries who were burned or blackouts and failures of equipment at the fort. We have something seen in the air which might have approached the fort, but we do not have the other elements that were introduced by Fontes. So, here’s where we are in this case. All the information seems to trace back to the short, vague magazine articles which only seem to mention a sighting and the more robust information supplied by Fontes. While some of the soldiers interviewed said that they had heard of the case, not one of them said that he saw anything personally, though some were stationed at the fort at the time. The names of the injured soldiers have never been learned, there is no documentation about the case other than those magazine articles that are vague at best, refer only to UFO sightings in the area and suggestions by those in Brazil who investigated that the case is a hoax. There are hints that Fontes had been less than candid in his reporting. Boaventura reported on a telephone call with a colleague who said that Fontes had invented the case for his own aggrandizement. But we don’t have the name of that researcher. We do, however, have the names of three other Brazilian UFO investigators, Simoes, Periera and Faria who were contemporaries of Fontes and who said that he was “enthusiastic” about his UFO cases. That can be interpreted in many ways, such as suggesting he didn’t follow negative leads to his introducing hyperbole into a tale to make it more exciting. However, it does seem that Fontes’ reputation in Brazil was not the best and there are multiple, named witnesses to that. The alleged physical evidence can’t be located. Although Boaventura attempted to find the twisted rifle, he did not see it on his tour of the museum where it was supposedly housed. While everyone knows that the vast majority of the items in a museum’s collection are not on display, Boaventura did work with the archivist who would have had access to everything, and according to the documentation available, the rifle was not housed there. He said he would alert Boaventura if he found anything, but that has yet to happen. No military records have been found to even confirm a UFO sighting at the fort on any of the dates offered though there were UFO reports in the area on a number of days near the fort and in the city associated with it, which might explain the multiple dates. The magazine articles are generic with few details, multiple dates for the sighting and no hint of any sort of power blackout or injuries to soldiers at the fort, which is no real corroboration for the tale. Normally I would suggest that such a case like this be reduced to a footnote, but even that might be misleading. The evidence is so thin as to be nearly nonexistent and the only witness testimony is second hand at best and is based on what others might have said. We have no idea how much circulation the tale had in Brazil after Fontes reported it to Coral Lorenzen at APRO and the rumors heard might have originated there. This case is so poor, it should be erased from the UFO literature, but, naturally, it is too late for that. It will live on simply because it was widely reported in UFO books around the world. We should listen to our colleagues in Brazil who are suggesting that there is nothing to it… but, of course, that will never happen. Back more years than I care to think about it, I developed my interest in flying saucers. At that time I had questions and wrote to both APRO and NICAP. NICAP responded with a membership package and nothing else. APRO responded with a membership package but also took the time to answer my questions. Naturally, I joined APRO and developed a relationship with both Jim and Coral Lorenzen. Over the years I spoke with Coral and Jim on many occasions, visited them in Tucson, which was their headquarters then, and met them in various locations. They asked me to investigate specific cases for them, which I was happy to do. Coral provided information for me to use in magazine articles with the only requirement that I mention them and APRO’s address in the text of the article which was never a problem. I don’t remember a single time that it was ever edited out or that an editor asked that I remove it. streak. Photo copyright by Kevin Randle. I mention this to provide a context. Maybe we should think of it as becoming more professional in the investigations. Maybe it was just becoming more skeptical in the investigations. Whatever, I was finding far more solutions than I was unexplained cases. Given what we have learned in the last fifty years about bolides, about human perception and ambiguous stimuli, the answer here seems, at least to me, to have been found, yet there are those who will argue the point. To be fair and honest, there is a remote chance that Chiles and Whitted witnessed something other than a bolide, but the evidence now argues against that. We have seen the Aztec UFO crash case revitalized once again. The first time was in the mid-1970s, then in 1986 when William Steinman wrote UFO Crash at Aztec and lately with Scott Ramsey, et. al. with their The Aztec Incident. There is still no solid documentation for the event and the few eyewitnesses that have been put forward are shaky at best. In fact, some of the information misrepresents the actual situation. I could go on in this vein, suggesting the same trouble with the Kingman UFO crash, the Las Vegas crash, and several other sightings that seemed inexplicable at the time but now have what I see as logical and rational explanations. That is not to say that there won’t be those who wish to argue using outdated information or witnesses who have demonstrated that they are less than credible. You can see a more detailed analysis of this in The UFO Dossier which came out last year. Of course that is my take on the case as well. The point is that real solutions are being rejected in an attempt to preserve the status quo, which is not the way to do research. If there is an answer for a case, we shouldn’t reject it simply because we prefer the mystery of it. There are still many good cases that continue to defy explanation so that when a solution is offered that covers all the facts and makes sense, we shouldn’t reject it. Test the solution, yes, but reject it out of hand, no. That is why UFOlogy is in a decline. It is no longer about learning what is happening, it is no longer about finding an answer, it is now about making money, getting asked to lecture throughout the United States and in some very exotic location, and standing in the spotlight spouting what the audience might wish to hear. Research is no longer about finding the truth and answers but in confirming a belief structure. Too many people only want validation for their beliefs and if the evidence aligns against them, they reject the evidence. They argue the trivia endlessly, applying their own opinions as if they are fact, and refuse to understand that others might know something about a case as well. Until we pull back on the speculation, reject the use of anonymous witnesses when there is no other evidence available and concede that sometimes we can find solutions to classic cases, we’re just not going to advance. We’re going to be stuck in the 1940s, afraid of what is flying around over our heads, and unable to find any rational solutions. We’re just not going to get anywhere. 15,000 in his attempt to get closer to the UFO. o. At approximately 20,000 feet, Captain Mantell called the flights attention to an object at 1200 o’clock… (Copied as written). 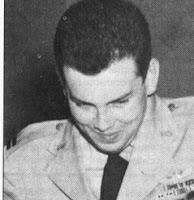 p. Captain Mantell’s transmission was garbled, but Lt. Clements stated he mentioned something about going to 25,000 feet for 10 minutes. q. 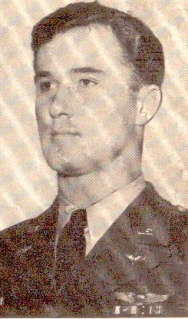 At 22,500 feet, Lt. Clements advised flight leader [Mantell] that he was breaking off to lead other wingman back to Standiford Field. s. At the time Lt. Clements and Lt. Hammond broke off from the flight (22,500) Captain Mantell was observed climbing directly into the sun. All that seems straight forward and indicates that the pilots were far above the 14000 foot altitude where regulations required that they go on oxygen. So where did this idea come from that suggested 15000 feet as the altitudes where Clements and Hammond turned back but Mantell continued to climb? Ruppelt too much credit. 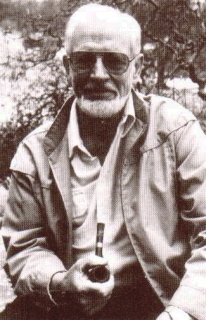 On page 48 of the Ace paperback edition, Ruppelt wrote, “Saucer historians have credited him with saying, “I’ve sighted the thing. It looks metallic and tremendous in size…” While this sentence seems to suggest that the statement was invented by UFO researchers, it is found in the official record and Ruppelt had to know that. He [Mantell] had climbed far above them by this time and was out of sight. Since none of them had any oxygen they were worried about Mantell. Their calls were not answered. Mantell never talked to anyone again. The two wing men levelled off at 15,000 feet, made another fruitless effort to call Mantell, and started to come back down. As they passed Godman Tower on their way to their base, one of them said something to the effect that all he had seen was a reflection on his canopy. Ruppelt never wavers from this 15,000 feet or that Mantell had tried to get to 20,000 feet. He goes on to explain that in the training of pilots and crewmen, they are exposed to the problems of high altitude flying and have “it pounded into to [them], ‘Do not, under any circumstances, go above 15,000 feet without oxygen.’” Ruppelt tells us that no one ever got above 17,000 in the altitude chamber tests in training without experiencing adverse effects from altitude, but experiments made long after this event suggest that many humans will be able to remain conscious at 20,000 feet for about ten minutes. Some are able to stay conscious longer and many not quite so long. If Mantell had said he was going to 25,000 feet and circle for ten minutes before starting to descend, he had no chance. Useful consciousness at that altitude is about three minutes. After he trimmed his aircraft to climb, he passed out and the F-51 continued to climb until it rolled over and began a powered dive that resulted in it breaking up. Mantell did not attempt to stop the dive nor did he attempt to bail out. The canopy latches were all closed. Interestingly, several others who wrote about the Mantell case such as T. Scott Crain, Jr. in the MUFON Journal, reported on the higher figures mentioning that the wing men broke away before Mantell reached 22,500 feet. Given that an illustration in the article is from the Blue Book files, it is clear that Crain had the same information as the rest of us today. Here’s the point I find it somewhat disturbing. Ruppelt suggests that they never really climbed above 15,000 feet though the official record suggests otherwise. I’m not sure why Ruppelt did that unless he was attempting to protect the pilots involved and removed the information that they had violated regulations. He does report that Mantell said that he was going to 20,000 feet and then said nothing more. But the documentation available suggests that 25,000 is the proper figure. The information about the sighting near Vanderbilt, which is in Nashville, doesn’t seem to have any relevance to the Mantell case. Ruppelt does seem to believe the Skyhook balloon explanation and suggested that it was launched from Clinton County. Ohio. Some researchers, looking at the data including winds aloft suggest that the balloon would not have been in the location reported on that day and is ruled out. Others aren’t quite so sure. I will note that winds aloft data is often spotty, wind directions vary radically as altitude is increased and the Skyhook balloons often reached altitudes of 60,000 feet, or some 35,000 feet (nearly seven miles) above Mantell. That might explain Mantell’s comments about the object moving away from him at the speed of his aircraft. It was much higher than he thought, misjudged the size and was fooled by all that. The real takeaway here, for me, was Ruppelt’s attitude. He seemed to suggest that some of the quotes attributed to Mantell were rumors spread by UFO researchers. Now that we have access to the Blue Book files, we learn that Ruppelt’s comments were misleading because the phrase, “It appears metallic and tremendous in size,” is found in the official documentation.